For more than four years, Poietis has been invested in the development of the NGB 4D bioprinting platform to meet the development and production needs of human biological tissues. The company is thus involved in three target markets: in vitro tissue models as an alternative to animal experimentation in dermo-cosmetics, pharmaceutical research and regenerative medicine. 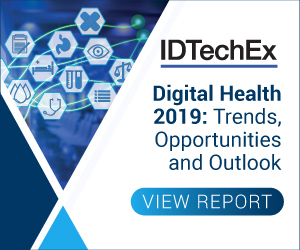 For more information see the IDTechEx reports on 3D Bioprinting 2018-2028 and 3D Printing in the Medical and Dental Industry 2019-2029. Indeed, largely inspired by the principles of the 4.0 Industry, this new platform integrates automation and robotics technologies, coupled with numerous online sensors - including cell microscopy - and Artificial Intelligence processing. In addition, it now integrates all bioprinting techniques (laser, extrusion, inkjet by micro-valve), a world's first in the bioprinting market. Poietis now declines its 4D bioprinting platform into two systems based on the same core technology: NGB-R, a bioprinter marketed today for research in biology and tissue engineering, and NGB-C, a clinical version intended to meet the future needs of Advanced Therapy Medicinal Products (ATMP) production and the requirements of Poietis' partners. The commonality of the two systems will facilitate the transposition of preclinical R&D results to the clinical phases and will accelerate the development and the access to innovative therapies for patients. "We have upgraded the NGB platform to an automated robotic system to improve the standardization of manufacturing processes and the functionality of biological tissues," said Fabien Guillemot, President and CSO of Poietis. "The combination of multimodal bioprinting with the acquisition and the online processing of printed cell images at cellular resolution will also ensure that what we design is what we print." he added. "In parallel with our first applicative developments on bioprinted tissues for in vitro models, we continue to evolve our business model to meet the expectations of tissue engineering specialists and biology researchers." commented Bruno Brisson, Co-­Founder and Business Development Director of Poietis. "The commercialization of NGB-R bioprinters will provide new opportunities for tissue engineering researchers at the preclinical stage, while the NGB-C system will support clinical developments that will be carried out initially in the framework of partnerships benefiting from the same manufacturing platform." he added.